Although there is a surprising amount of great activities to be found in Cody, it is always possible to cram a few really special ones into a solitary action-packed, weekend. These choices, which make my not-to-be-missed list, can therefore be combined into one absolutely spectacular time. If your budget allows, it would also be fun to stay at one of Cody's nicest hotels for your unforgettable weekend. The Chamberlin Inn is right in town, features a Hemingway suite where the great man himself was rumored to have slept, and is steeped in Cody history, charm and elegance. Cody's newest hotel, aptly named “The Cody” is a luxurious, all suite getaway complete with pool and fitness center. Both choices would make for a really memorable stay. This one has to be top of my list; head on over for some quality time delving into Cody's past, culture, nature and art. This surprisingly up market museum is fun for adults and children alike. While you can spend a phenomenal amount of time here, it is still possible to see all five museums that make up the center in a day, leaving time for the occasional coffee and food break! The museum itself has a nice little eatery and coffee bar with a wonderful outside patio in the scenic gardens where visitors can bird, rabbit and sometimes even chipmunk watch! The museum admission price does allow you to return the next day if you so wish. For more information visit the Buffalo Bill Historical Center Website or call (307) 587-4771. If you can tear yourself away from the BBHC for a little time, I would suggest some retail therapy. Many of the stores along the main street in Cody are unique and fun places to shop. Many also stay open until the evening during the summer so that you can make the most of your time. Another “must” for one of your nights in Cody should be a visit to the local Rodeo. It begins every night during the summer months at 8pm and is certainly the authentic western entertainment here in town. The seats are hard so I would suggest that you bring a blanket or two for a more comfortable experience! Call 307-587-5155 for Tickets, Dates, and Times. There are some great restaurants in Cody and the Cody Chamber will be able to provide you with information on each, as will the local free paper – Pulse. I can certainly recommend the Rib and Chop House on Main Street for great steaks, The Terrace next to the Rodeo grounds for eclectic dining and cocktails, and La Comida for the great people-watching terrace. If you are just passing through Cody on your way to Yellowstone, check out the following Cody activities before you depart. But if you are leaving the area for good and haven't yet seen Yellowstone, a day trip to the park is a must. The ultimate sight-seeing tour! The trolley ride is simply the best way to see just about everything that Cody has to offer in a hurry during the summer months. The trolley has a stop at the BBHC so it would be possible to combine a trip to the museum with the hour long trolley ride. There are various perks to buying the trolley ticket also, such as knowledgeable guides, some free info on Cody, and they also offer a lower priced trolley/BBHC pass. The other advantage to catching the trolley is that you will be able to note any sights or areas that you are keen to revisit on your second day. For more information visit the Cody Trolley Website or call (307) 587-7043. Visit Old Trail Town, where you can step back in time and experience the Wild West as the legends lived. Call Old Trail Town for details at 307-587-5302. Cool off on a river-rafting experience (summer only). River Trips offer a variety of packages ranging from one and a half hour splashes to five hour white-water thrills. Find local Whitewater Rafting companies. If you are leaving the area entirely then Yellowstone National Park should definitely be on your weekend itinerary. It is only about 50 miles from Cody to the East gate and the scenery on the way is spectacular. Again, Yellowstone could be explored for months but it is possible to drive the two main loops in a day and experience some of the fantastic natural beauty that the park has to offer. Don't miss Old Faithful, the Hayden Valley, the Grand Canyon of Yellowstone and Yellowstone Lake. As well as the gorgeous scenery and wonderful animals there are great restaurants, ice cream and gift shops for some more of that culinary and retail therapy. It's a little more out of the way, but if you can visit Mammoth Hot Springs you will definitely see a whole host of Elk just hanging out and in this Yellowstone village. You will be tired at the end of this day but hopefully you will have had an unforgettable experience. 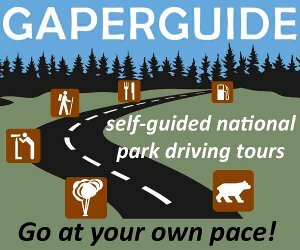 More Information on Yellowstone National Park. A weekend in Cody during the winter months presents some slightly different opportunities. 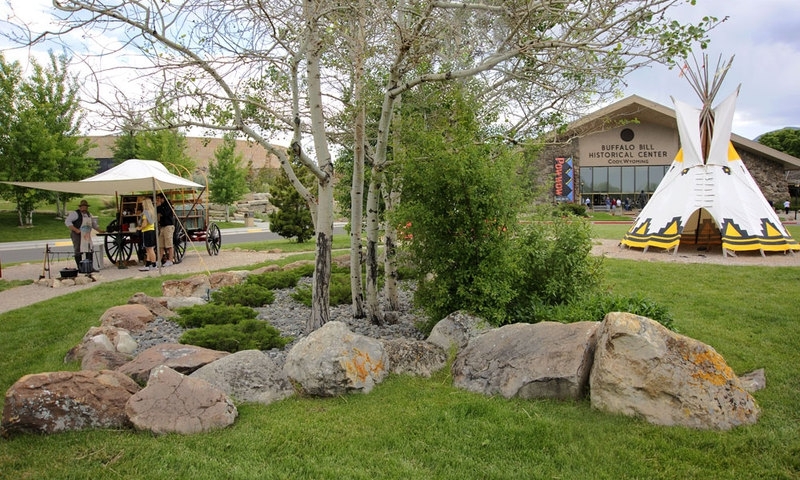 The Buffalo Bill Historical Center still makes the list of must-do activities but be aware that the opening hours are slightly more limited – check with the center itself or the Cody Chamber for exact times. There is also a free day offered during December which is hectic but exciting as Santa is visiting along with local musical groups. Yellowstone also still makes the list but it might be a slightly trickier option than during the summer. Some of the northern Yellowstone routes are still open to regular traffic but it would be necessary to travel via Livingston, Montana to access the North Gate rather than the closer East gate. However, the East Gate is open to snowmobiles. A great way to see the park in the winter is on a Snowcoach Tour. Some stores in town do suffer from the winter blues during the off-season and close pretty early or indeed, hibernate for the duration. However, if you are visiting near to Christmas you will find that some of the summer liveliness returns. On the plus side, the luxury hotels that may cost an arm and a leg in the summer are much more reasonably priced in the winter. My final weekend winter recommendation would be to head to the slopes for a spot of skiing. Both Red Lodge Montana and the newly opened Sleeping Giant resort offer friendly, family-orientated, reasonably priced fun.